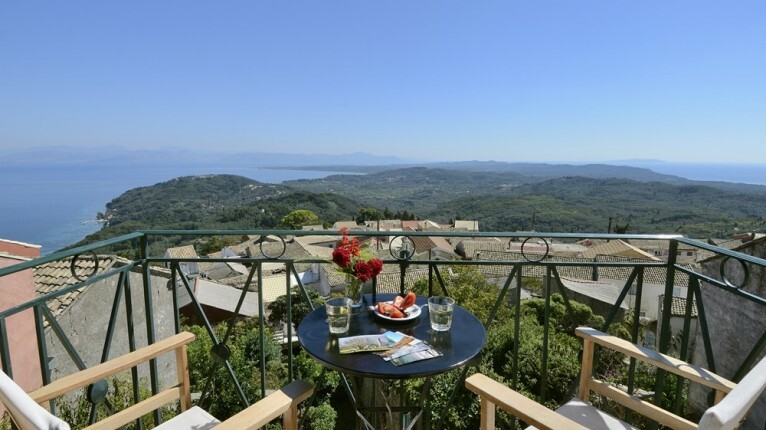 This unique property is in one of the oldest villages of Corfu, Chlomos, in the southern part of Corfu. 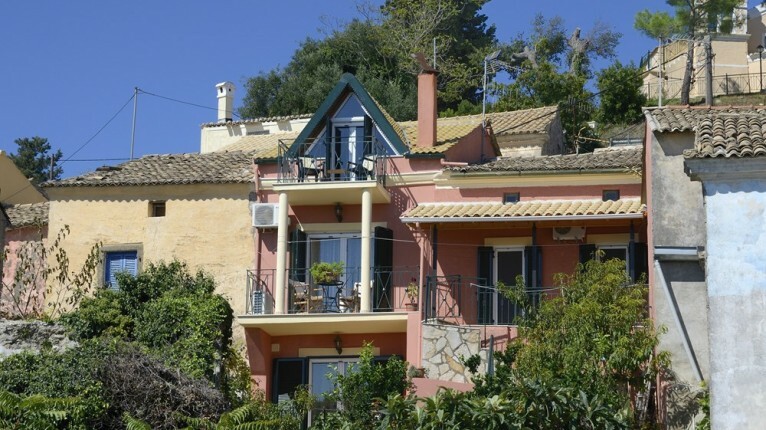 Access to the house is from one of the narrow paved streets of the village just around the corner from Balis Taverna, a restaurant/cafeteria run by the same owners. 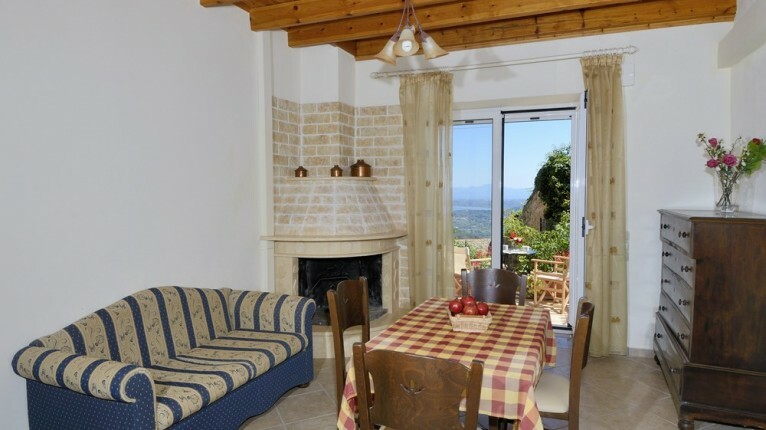 This traditional Corfiot house is spread over three floors and is suitable for 2 to 4 persons. 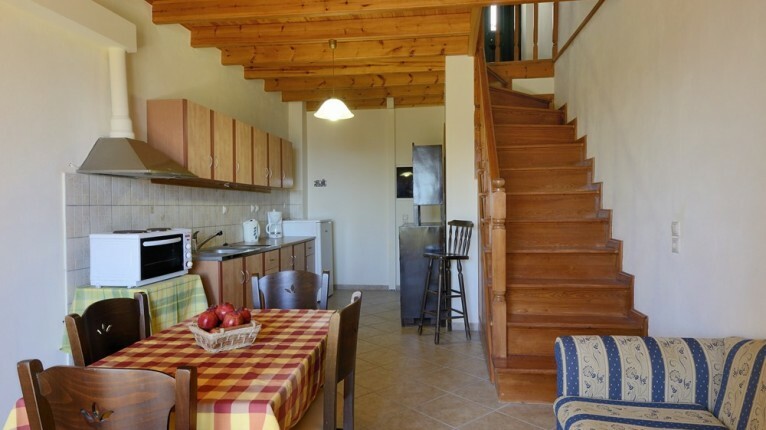 At the entrance level you will find a double bedroom with TV and the bathroom with bathtub and toilet, the lower floor houses the kitchen/sitting area and an extra toilet whilst the upper floor has a second attic bedroom. 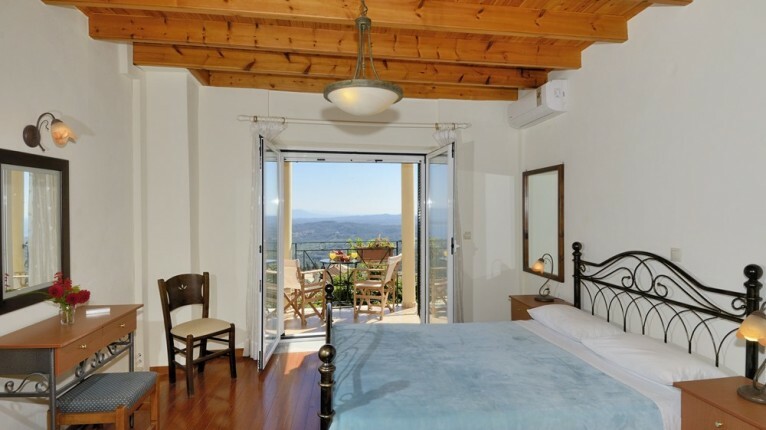 Both bedrooms have a double bed and the kitchen has a small oven with cooking rings, dining table with chairs and a sofa. 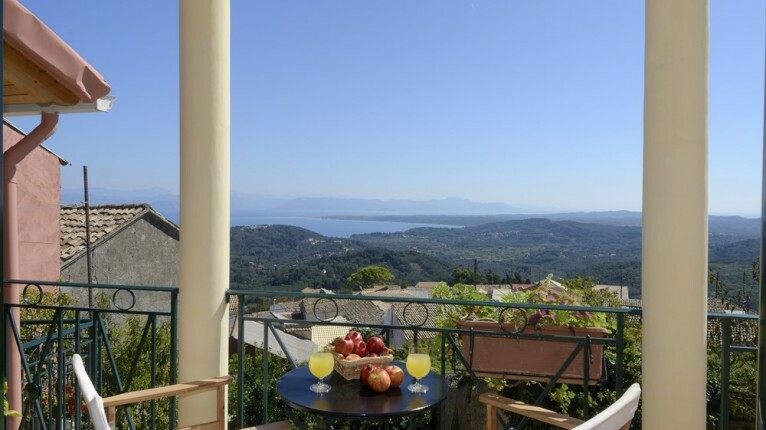 The hidden surprises of this property are the absolutely stunning views from each level of the house, in particular the two upper level balconies where you have magnificent views over the sea and surrounding villages and nature. There are many interesting walking opportunities in the area but car hire is recommended in order to benefit fully from the wonderful beaches and restaurants which are just a short drive away. You will find street parking less than 100m from the house. Balis has air conditioning in both bedrooms and a wifi connection all without extra costs. 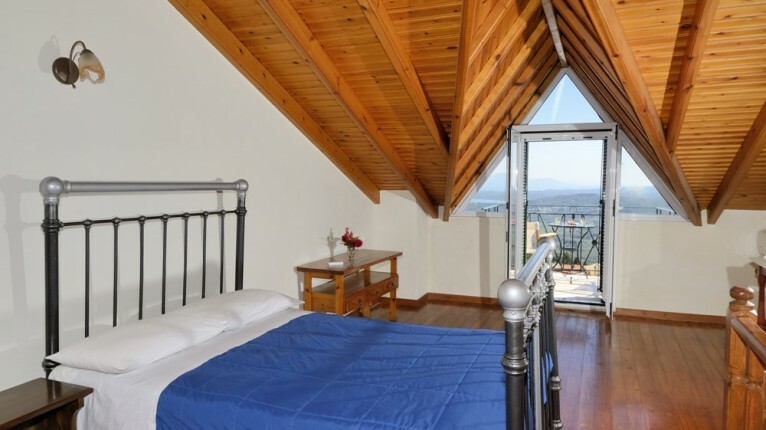 Cleaning and change of bed linen occurs twice a week and fresh towels are provided three times a week.